Volvo Cars, the premium car maker, announced this week its ambition that from 2025, at least 25 per cent of the plastics used in every newly launched Volvo car will be made from recycled material. The special XC60’s interior has a tunnel console made from renewable fibers and plastics from discarded fishing nets and maritime ropes. On the floor, the carpet contains fibers made from PET plastic bottles and a recycled cotton mix from clothing manufacturers’ offcuts. The seats also use PET fibers from plastic bottles. Used car seats from old Volvo cars were used to create the sound-absorbing material under the car bonnet. 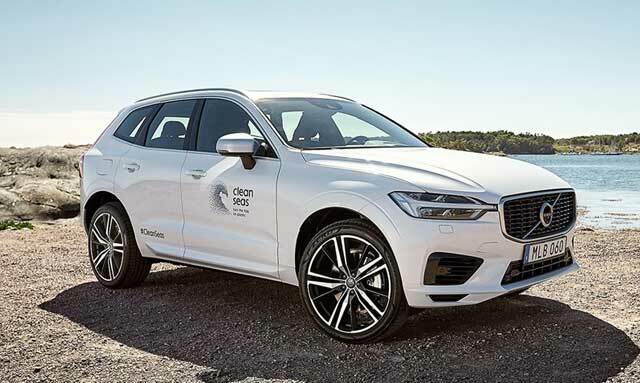 The recycled-plastics XC60 was revealed at the Ocean Summit during the Gothenburg Volvo Ocean Race stopover. The race’s focus on sustainability centers on a partnership with the United Nations Environment Clean Seas campaign, focusing on the call to action, ‘Turn the Tide on Plastic’.